The FTD Rural Beauty Wreath is a brilliant arrangement that expresses your grief in the jewel tones of dawn's first light. 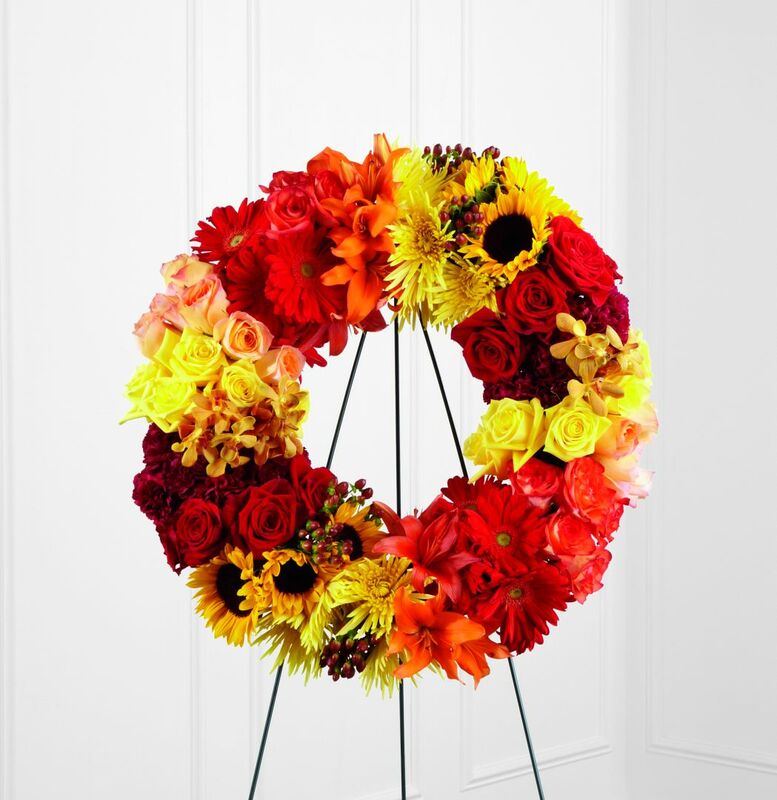 Peach, yellow, red, and orange bi-colored roses, burgundy carnations, yellow spider chrysanthemums, red gerbera daisies, sunflowers, orange Asiatic lilies, gold mokara orchids, and brown hypericum berries are brought together to form a wreath that honors a life well-lived. Displayed on a wire easel.